I think the Internet is broken. It keeps making me buy things for myself when I'm supposed to be shopping for other people... But I digress! What was the coolest gift you got in the last year? I've got an idea to make you an elite tier gifter this year. Put ACME to work for you. 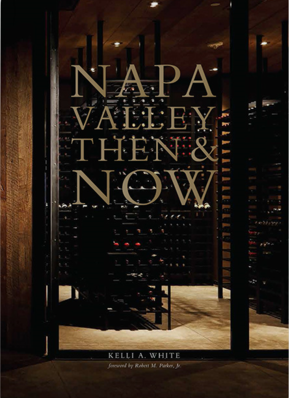 This beautiful book is the new, much-needed, authoritative tome outlining the wines of the Napa Valley. An impressive reference, both in its sheer scale, and the quality of the research, the writing and the tasting notes, author Kelli White overdelivers on every page. White is a Sommelier at PRESS Restaurant here in Saint Helena... and a good friend. This book is probably on your dad's wish list already, and since it costs about as much as a better bottle of Napa Valley Cabernet Sauvignon, this is a no-brainer luxury gift. just like the finds in our Pulse Club: red, white, rosé, or bubbly. Three bottles valued at $150, with only reds and only local wines. These are the greatest hits from our Under the Radar Club. Point us in the direction of your lucky “giftees”, and your work is done! All of our cadeaux are packaged and shipped in a sleek gift box, ready to impress, with your personalized card and the back story on each bottle enclosed. And when in doubt, a vacation to the Napa Valley is a beautiful gift. We'll welcome you here to our Saint Helena showroom with a glass of something delicious.